"I wish I could give J. Montes Roofing 100 stars!!! Their quote was excellent. From start to finish I was so pleased with how the job was handled. I dealt with Heather, the office Manager to John the project manager and the wonderful roofers who gave us a beautiful new roof. It was so refreshing to deal with a company that WILL return a phone call, answer questions, and keep me notified every step of the way. I was treated like a valued customer with much respect from all who work here. 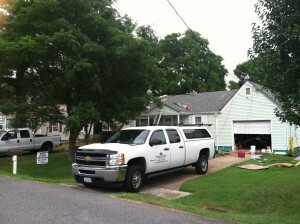 The roofing crew worked like a "fine oiled machine" from start to finish. The roofers started on a Friday when the weather was beautiful and 70 degrees. Of course, only in Tidewater, the next day would be 38 degrees and raining, but, lo and behold, they were back to finish the job. They are all very pleasant folks to work with!! 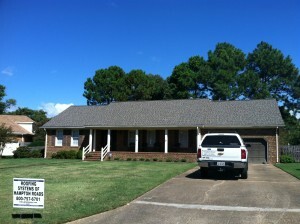 I would highly recommend this company to anyone needing a new roof, you will not be disappointed." 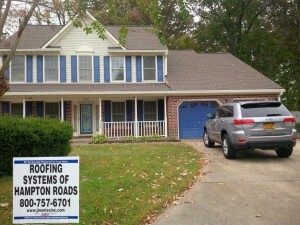 "These guys are the Chick-fil-A of roofing! Quality work fast, friendly. They do what they say they'll do. I have given their name to three of my friends who need roof work done." "Fantastic experience from start to finish. Mr. Montes performed the initial estimate, and had great information about the specific product application he recommended. His scheduling team booked an initial work date, but also put me on a waiting list for an earlier appointment if there was a cancellation or delay. We were bumped up to just over a week after signing the estimate. The team prepositioned their equipment the night before and arrived right on time. In the morning, the install team again arrived right on time. They worked quickly, were very tidy and organized, and did very clean work. 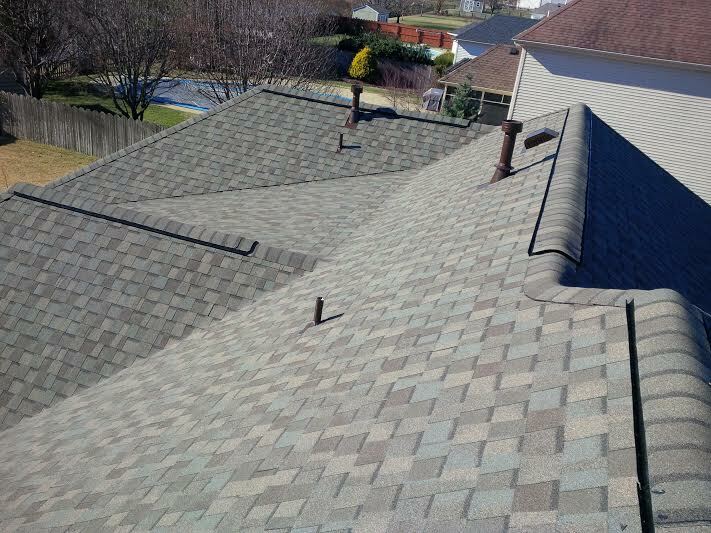 The roof has performed extremely well through multiple rain storms in the 6+ months since." 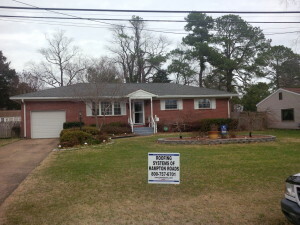 J Montes Inc is the best roofing company in Hampton Roads. 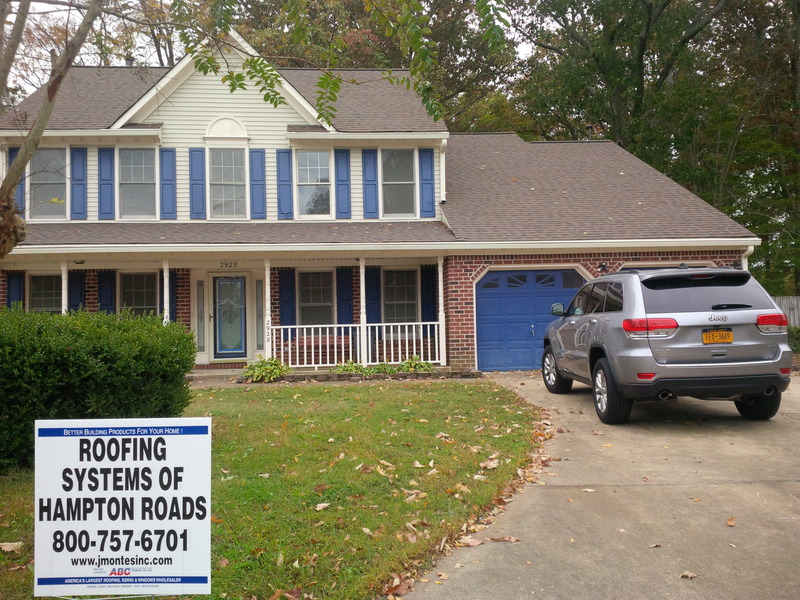 Look no further for your roofing needs. You will be highly satisfied. Jon Montes gave a reasonable and competitive estimate for our roof replacement. We had so many leaks, the company was fully booked for several weeks, but Heather and Jon made sure our roof leaks were addressed and fixed until we had the roof replacement. Heather who handles the admin side is outstanding. She was very patient with communicating with my husband in addressing whatever or any issues or concerns we had. The crew did an awesome job. They are highly skilled and professional. John Powers, the project manager, made sure everything's 100 percent job well done. Thank you so much J. Montes Inc! 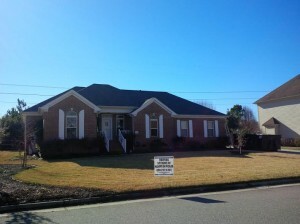 We are very happy with our beautiful Certainteed new roof! God bless you all! 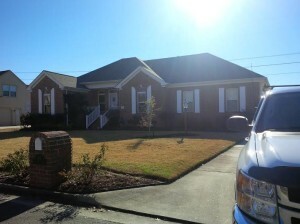 "So happy with our new roof! The J. Montes Roofing company was on time, very courteous, very respectful of our property and garden beds, just awesome - which unfortunately is not the norm with many companies now-a-days. They started early in the day and cleaned up every bit of old roofing material on the ground. They were especially careful with small bits since we have dogs in the backyard. We highly recommend them!!" 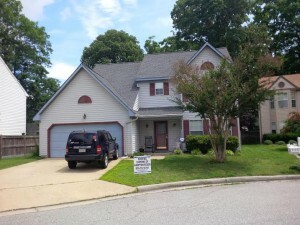 "I looked at four different roofing companies, all came recommended highly. they arrived the workers began immediately and performed their work skillfully. index which was over 100 degrees. This company truly exhibits the values, high character, and Christian beliefs by going the extra mile, outstanding performance of hard work. JOB WELL DONE!" 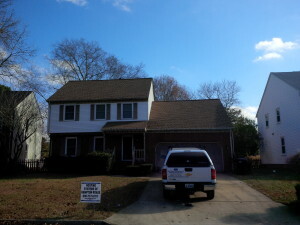 J Montes Inc did a superior job in replacing my old roof with a new system. From the time Mr. Montes came to give me an estimate until the job was completed I knew that I had made the right decision to do business with him. Everything was handled with professionalism and respect from the communication before the job to the men doing the job. I so appreciate all the hard work and wonderful job the whole company did to make this tough decision on who to use such an easy and seamless one. If you want a top-notch company to deal with, I would highly recommend J. Montes Inc. The way they do business should be a model for any successful and superior company. In the process of looking for a roofing company to replace the old worn out roof, it was the Better Business Bureau rating of A+ for J. Montes, Inc. that caught our attention. J. Montes, Inc. is a top notch company. Jon Montes came out to the house to give the details of what they offer to their customers. He was very personable and professional. We were very pleased with the great job the guys did on the roof. The Office Manager, Heather, was very positive and was there to help whenever there was a question. The process of applying for financing went very smooth. We would recommend J. Montes, Inc. to anyone in the market for a new roof. 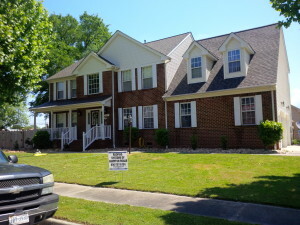 Having owned numerous properties over the years, I have come across many roofing companies. This company is easily the best roofing company I have ever been involved with. From my first inquiry with them, I found them to be extremely responsive, timely and professional. The workers showed up on time, got right to work, worked through some challenging situations, finished ahead of schedule and cleaned up after themselves so that I could not even tell that they had been there when they finished. When comparing roofing estimates, it is somewhat difficult to discern what you are being told in order to make a meaningful comparison. Mr. Montes was very patient with me as I worked through my research and thoroughly answered every question I had. After going through this process, I can only say that I cannot imagine how any roofing company could have done a better job. I cannot recommend this company strongly enough. Superb job!!! 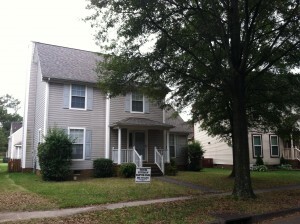 Owner showed up on time for estimate and gave a middle priced (based on my other estimates) quote. I decided on him because of the lack of pressure he put on me when once he gave me the quote. It was quick but informative, he gave product information and samples. He was able to start the job a week before he originally told me, which is an awesome thing when it is raining inside your house. The workers showed up at 6am and as soon as the sun was up, they were knocking on the door asking if they could get started. These guys worked their butts off for 12 hours straight and managed to finish in one day; my roof has 7 different peaks and is over 3000sq ft. so this was no easy job. 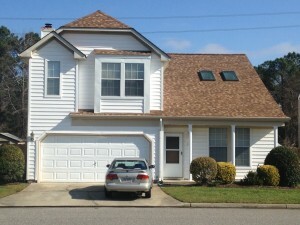 Aside from the shingle upgrade that I chose to make, the price was exactly what was quoted to me. The guys did a fantastic job cleaning up and putting everything back the way they found it. Final product looks amazing, I would definitely recommend. 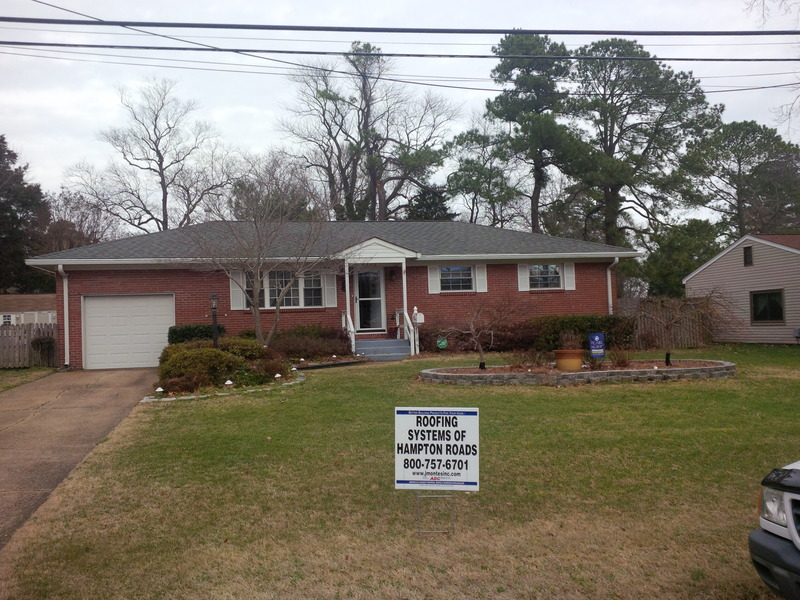 Harvey M. Virginia Beach, Va.
Jon is a true professional, work went fast and they did what they promised to do. 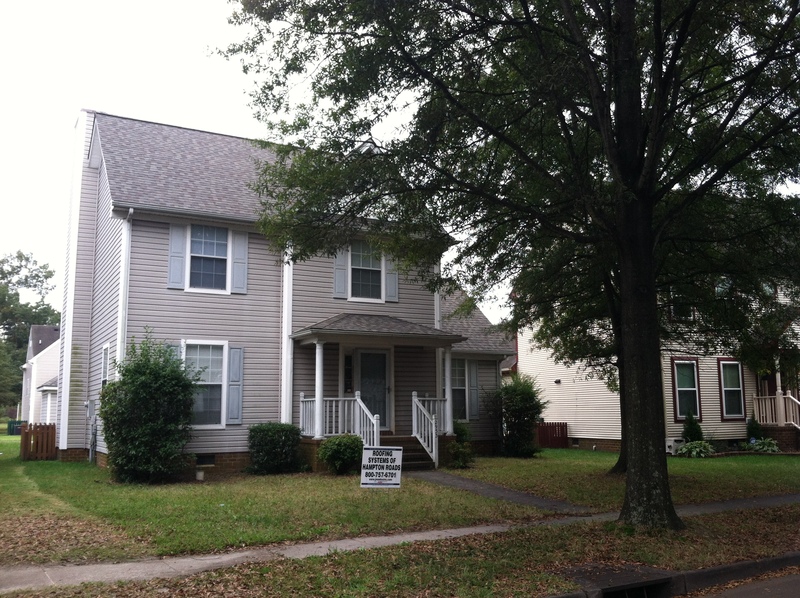 April M. Newport News Va.
Jon was one of 10 contractors that we got estimate from (all Angie's List award winners), and he was not the cheapest. I genuinely appreciated his straight to the point, no hassle, style and the detailed estimate that he gave us. We knew exactly what we were getting, when we were getting it, and how long it would take. After he was chosen, Jon also kept in contact with me- answering every question I could possibly come up with and even after the job was done, still kept contact to ensure that we were satisfied with the job he had done. We would HIGHLY recommend Jon and his company to anyone looking for work to be done on their roof! Jon, the owner, was very professional, yet with no pressure. He provided a timely estimate by personally coming out and measuring the roof himself, climbing up a ladder onto the roof. His crew showed up on the day he scheduled and worked from early morning until dark. They almost finished the entire roof the first day, then came back the second day and finished by noon. They installed ridge vents, replaced existing vents and cleaned up really thoroughly. 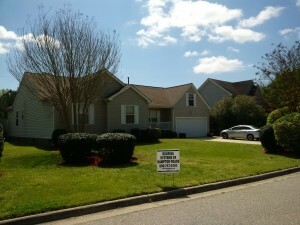 They also protected shrubs and flowers around the house and back deck. We were very pleased with J Montes, Inc. roofing. We would highly recommend them to anyone. 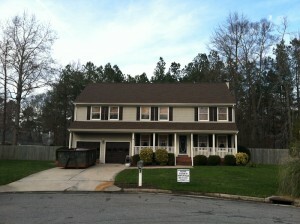 Fully delivered on all aspects of roofing rehab and done with respect and class. 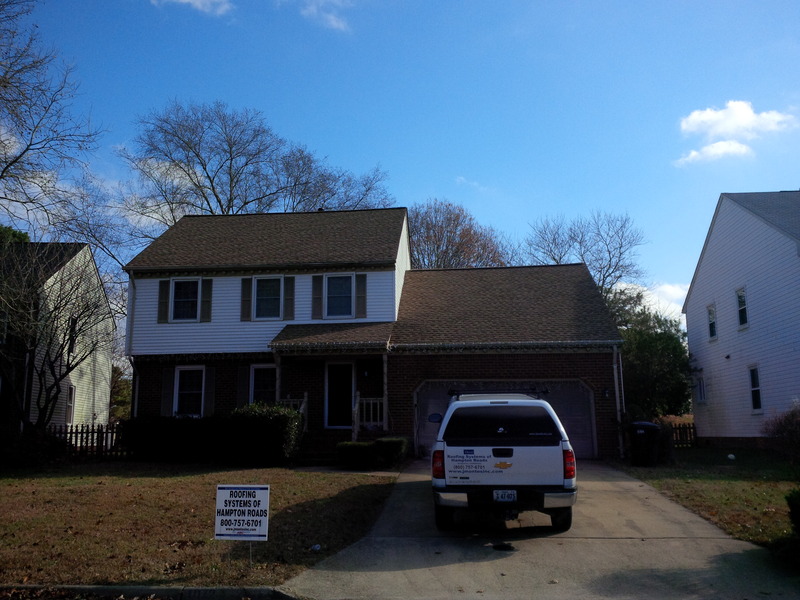 Don J. Virginia Beach Va.
Project : "Replace and Asphalt Shingle Roof and Flat membrane"
Both Jon (the owner) & John (the foreman) were great to work with. The crew was quick, polite & efficient. I had a good experience & would/will highly recommend this company. Thanks guys. James H. Virginia Beach, Va.
Project : "Replace and Asphalt Shingle Roof"
Todd G. Virginia Beach Va.
Project: "Replace an Asphalt Shingle Roof"
One of, if not the most pleasant experience dealing with the home repair trade. 5 guys completed job in 1 full day. Hassle free professionals. Showed up as scheduled, answered questions directly, thoroughly cleaned gutters, downspouts, and around the yard at the end. Lowest of 4 estimates and substantially less than the highest. I sometimes hesitate going for the lowest number in something I'm not thoroughly familiar with for fear I will get what I paid for. In this case it was a home run. Line item by line item Jon covered everything his competition did and topped it off with one of the best installation warranties. Jon was by several times to check, but I felt very comfortable dealing with his on-site supervisor. No reason to call anyone else if I have anymore roofing needs. Jon deserves to be one of the chosen contractors to be featured the next time Angies magazine does a story on roofing. Project: "Replace Asphalt Shingle Roof"
I can't say enough good things about this roofing company. 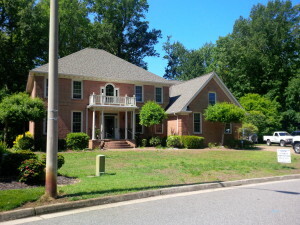 I have a house that's 18 years old that was in need of a new roof. After getting estimates from five other roofing contractors and reading the reviews from other customers, I decided to go with J. Montes because of their attentiveness, responsiveness, and quality of work. They did not have the lower price, but the quality and service made up for it. Mr. Montes took the time to answer any questions I had in regards to what was going to be done, recommended the type of shingles, etc. We were in constant contact, where he would call and let me know ahead of time when the materials were going to be dropped off and when the crew would start working. The crew started first thing Saturday morning at 7:30 and were able to finish around 6 that same day. They worked hard and very efficiently. 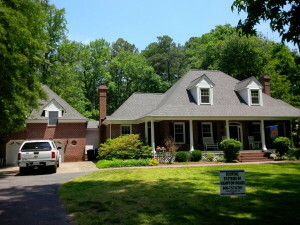 The house looks great now with the new architectural shingles. 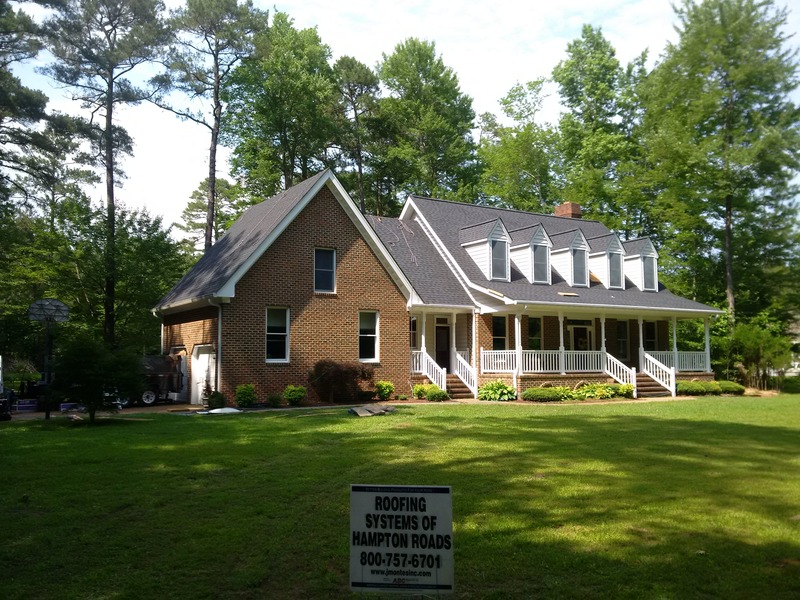 Susan G. Virginia Beach Va.
Project : "Replace an Asphalt Shingle Roof and Skylights"
It went so well that I can hardly believe it. The men picked up every bit of debris, the old tar paper and shingles and had done the new roof in one day. They laid tarps on my flower beds and driveway. 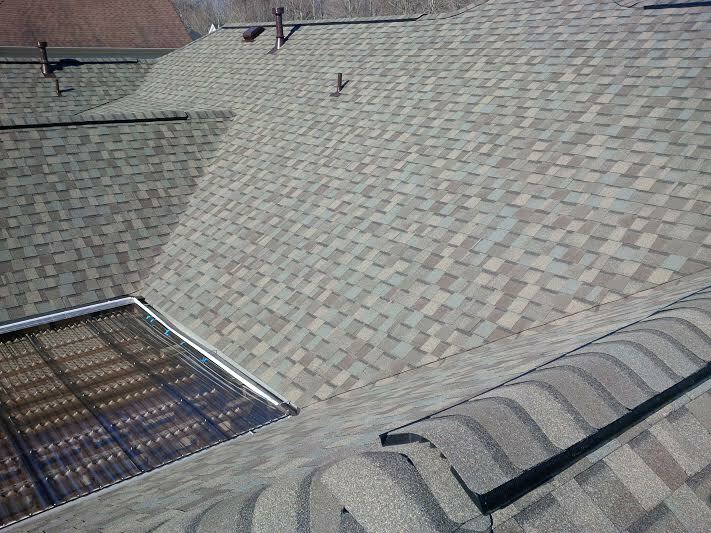 My roof looked a little bit bedraggled, but that is why we waited for late fall to do the job. The price was in line with other estimates. My son found JMontes on Angie's List. It was nice to be free of other companies calling and coming by to bug me. 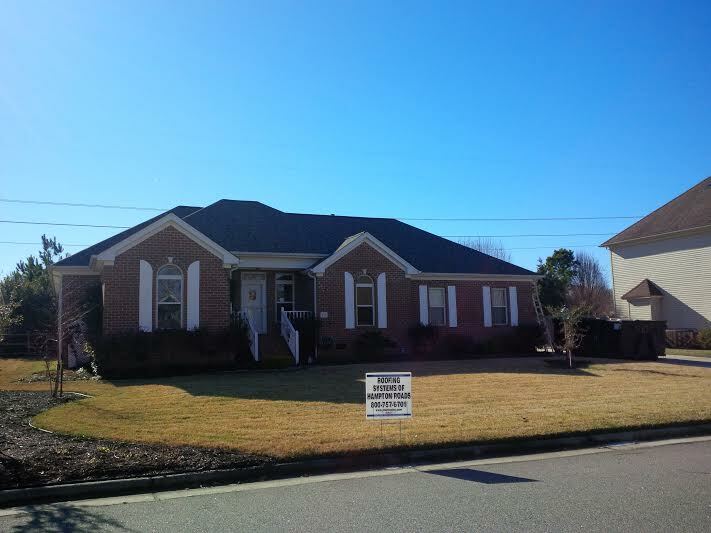 Project : "Replace an Asphalt Shingle Roof"
J. Montes provided a free estimate that detailed the entire roof replacement process. We talked and he answered all my questions. 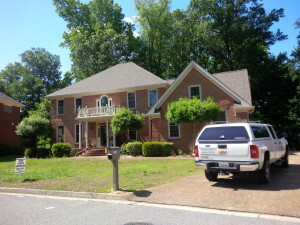 It was more affordable than estimates from two other contractors. He showed me one of his roofing jobs that was in process and one that was completed and I was impressed. 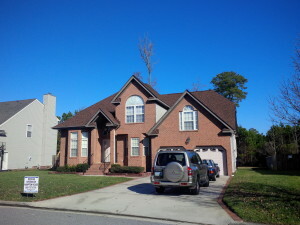 J. Montes and his team did a good job replacing my roof. It looks good and was completed as promised and on time. I would select the J. Montes Team again and I highly recommend them. Jon montes was very professional and knowledgable, he measured my roof, showed me samples of all materials and gave me a quote of everything to be done with detail. The crew showed up bright and early and went to work. When the job was complete the crew cleaned up everything, I couldn't tell they were even there. I did a lot of research and read many reviews, they are the best and the price was very fair and reasonable. I would definitely do business with them again, highly recommend. By the way my roof looks fantastic!! 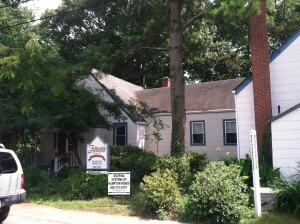 Jerry T. Virginia Beach Va.
J. Montes, Inc did a great job on redoing the roof on our Church Building . He worked with us every step of the way.He put a new venting system at the crown of the roof that has already reduced the temperature in the building. And he did it all in 2 days! I would highly recommend Jon and his Company to anyone needing a roof. Jon and Company were terrific, I can't praise him and his team enough, they arrived very early and my roof was completed in a little less than six hours, including clean-up; and the clean-up was such that nobody could tell that they were even here. They are thorough, extremely competent and don't fool around on the job, true professionals and do take pride in what they do. They deserve all the descriptive accolades that are available. Mr. Montes was honest and forthcoming on his pricing and work. His crew was very dedicated, thorough in their work in taking off old shingles and laying the new shingles in a very professional manner. They were also very thorough in cleaning up the job site going over the grounds several times to ensure a thorough cleaning. I'd welcome the opportunity to recommend Mr. Montes and have already done so on a couple occasions. The crew was early (7:00AM) on site and worked till dark. Responded quickly to a free estimate request. Estimate was complete, covering every aspect of the job and was professionally prepared. Was not the lowest bidder, but was selected by professionalism and review of previous jobs. Work was done quickly despite unforeseen problems, and all evidence of their work was gone the next day. Excellent work. They were a very coordinated and synchronized team (supplies were pre-staged the day prior to the work was going to start). The roofers arrived and got started early the next morning, prepared the area, and did an excellent clean up after they finished. Very professionally done! Excellent customer Service! Bravo Zula! J. Montes, Inc. Outstanding service, support and quality of workmanship. Mr. Montes crew showed up to work on-time for a 7:15 start on both days (2). Worked non-stop till sundown. It was clear from the very beginning that the entire crew took pride in their work, cutting no corners. They were very friendly and attentive to any questions I might have asked. Mr. Montes was in near-real time contact with me if I had a question when he was off-site. Otherwise, he was present frequently. One of the crew accidently dented a gutter. When I pointed this out to Mr. Montes, he attempted to straighten the gutter. After determining it could not be restored, he had a gutter company come by on day three and replace it free of charge. This company rocks! !